Powder and Trinket jars, sold separately or as part of a Trinket Set, have always been a popular item. 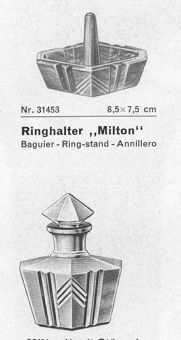 Walther sold a large range of such jars. 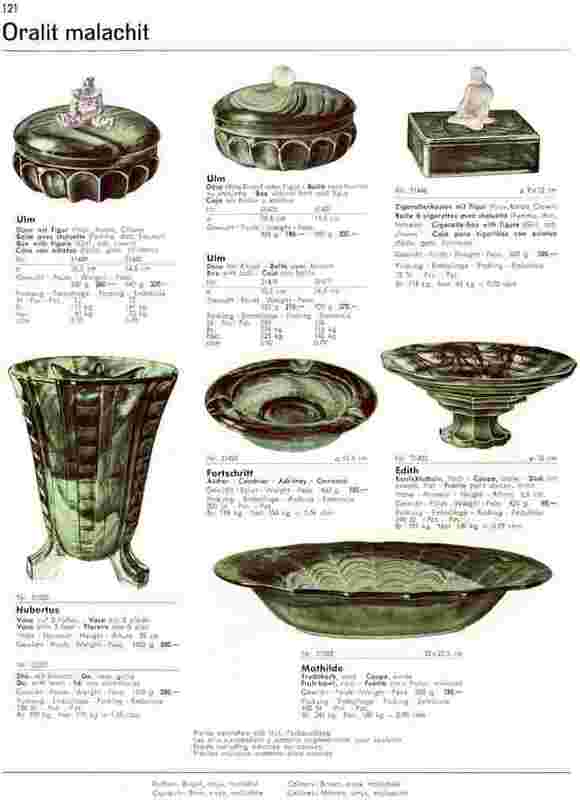 Most designs were sold in one of a number of forms: either plain or with a knob, a figure of a woman, a clown or a cat on the lid. 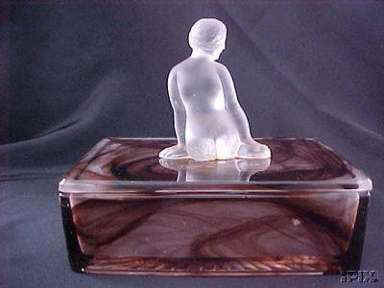 The female figure was of a seated naked woman made in frosted flint glass and about 5.5cm high. 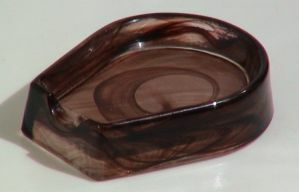 The female form was frequently used in pressed glass designs in the 20s and 30s. 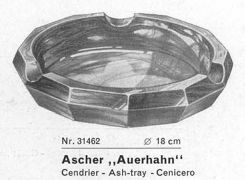 Walther also produced a large number of ashtrays in Oralit. These are very rare and no examples are known to exist. Only one complete trinket set appears to have been produced in Oralit. 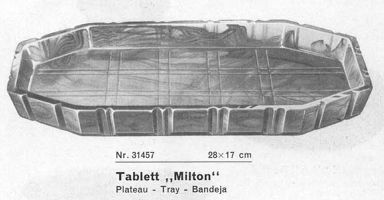 This is the 'Milton' which was shown in great detail in their 1934 catalogue. They also produced the 'Roland' trinket/drinks tray in Oralit. At least two examples in Violet Cloud are known to exist. 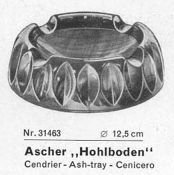 Description A circular ashtray with support for 3 cigarettes. Description: A rectangular cigarette box with star base. This style appears to only be sold with the figure. Description A heart shaped ashtray. This is similar to the Davidson dish/ashtray. Description A chunky ashtray with support for 4 cigarettes. Description A horse-shoe shaped ashtray. 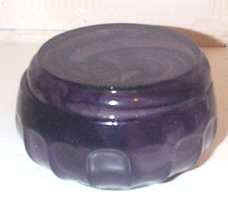 Description: A circular powder jar with an impressed deco design on 4 small rectangular feet. The lid is normally seen with the figure of a woman. 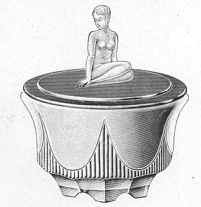 The box was also sold without the figure or with a small round knob in place of the figure. 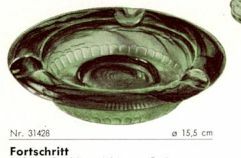 Description A shell shaped ashtray. Description A circular ashtray with support for 4 for cigarettes. 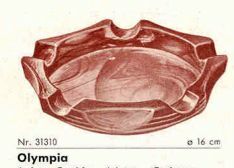 Description An oval ashtray with support for 3 cigarettes. Description A circular ashtray with support for 5 cigarettes. Description An octagonal powder pot, the lid of which is flat. The base has an impressed star design. Description A trinket or drinks tray. 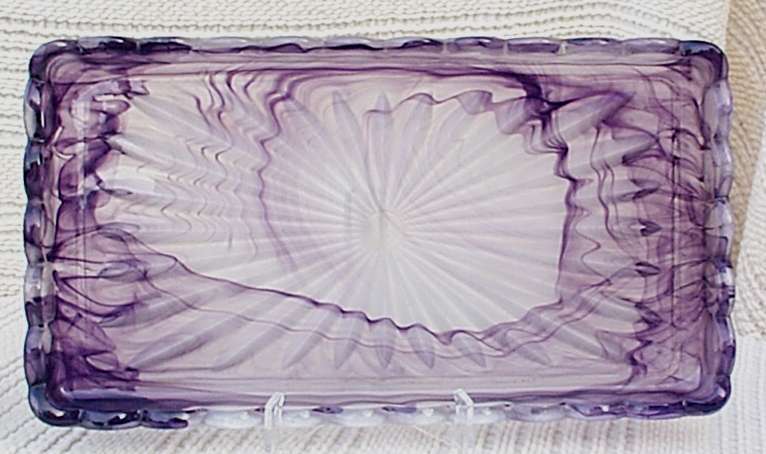 This tray is unlike any other piece of Roland style glass. It was sold separately and was not part of a trinket set. 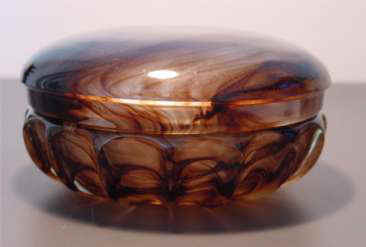 Description: A circular box with a moulded scroll design. The lid is normally seen with the figure of a woman. 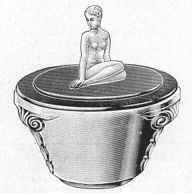 The box was also sold without the figure or with a small round knob in place of the figure.